AKA Roone Pinckney Arledge, Jr. Creator of ABC's Wide World of Sports (Thrill of victory... the agony of defeat) and Monday Night Football. Roone introduced to sports the idea of slow-motion replay. 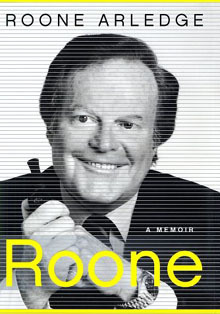 Chairman ABC News 1977-2000, where he created Nightline in response to the Iran hostage crisis. Memorial Sloan-Kettering Cancer Center, New York City.